ThinkGeek Picks of The Week, Plus 20% Off! 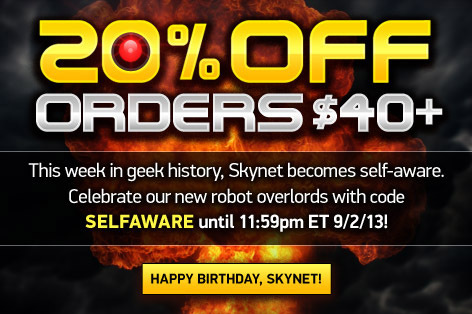 Enjoy 20% off orders over $40 at ThinkGeek this Labor Day weekend! Offers ends Monday, 9/2. Check out today’s post to see some of our favorite items carried by ThinkGeek that you could get a great deal on with this sale!